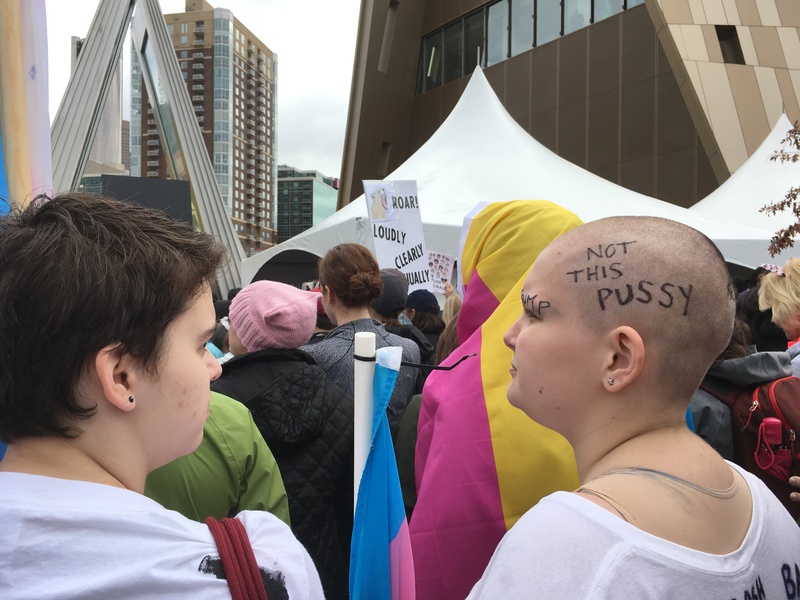 And thus we commemorated the woman’s tribute to Native Americans. 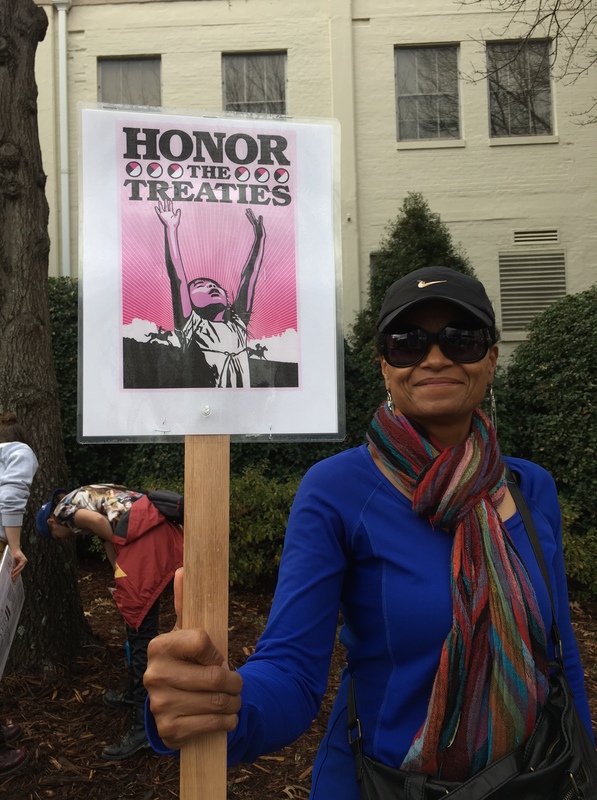 That was just one group represented at today’s march through downtown Atlanta. 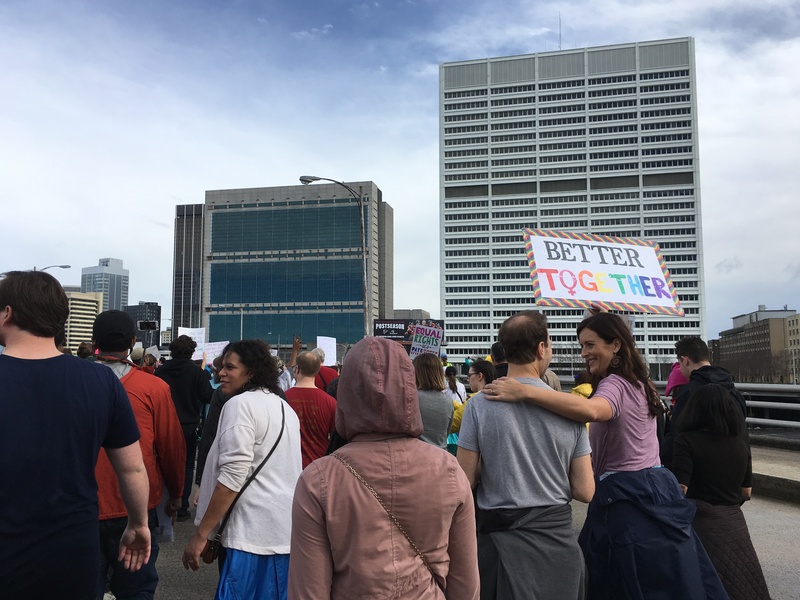 It began at the city’s 2-1/2-year-old Center for Civil & Human Rights. Then it went past Phillips Arena (home of the NBA Atlanta Hawks), the Georgia Dome (set to host tomorrow’s NFC championship, when the Atlanta Falcons plan to #RiseUp against the Green Bay Packers), and the Falcons’ new home, a still-under-construction nest of glass and steel called the Mercedes-Benz Stadium. 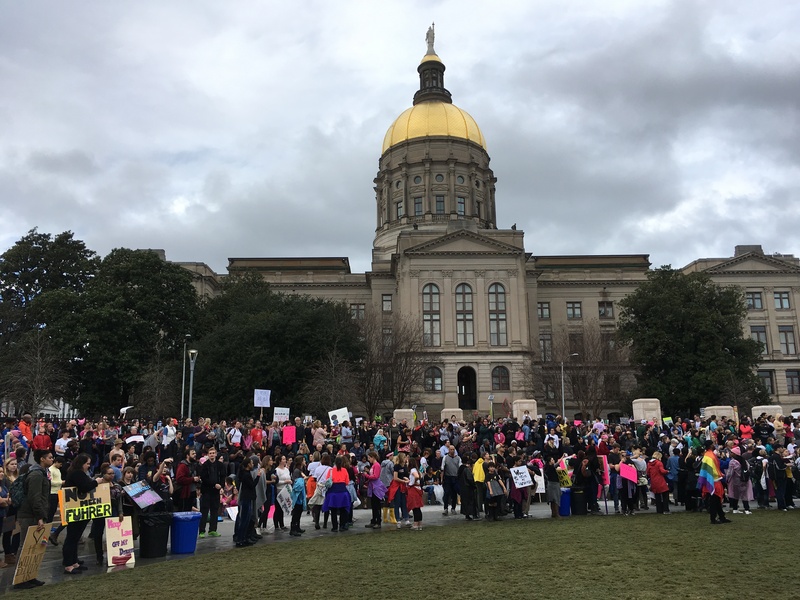 It ended, as depicted at top, at Georgia’s Capitol, the aptly named Golden Dome. 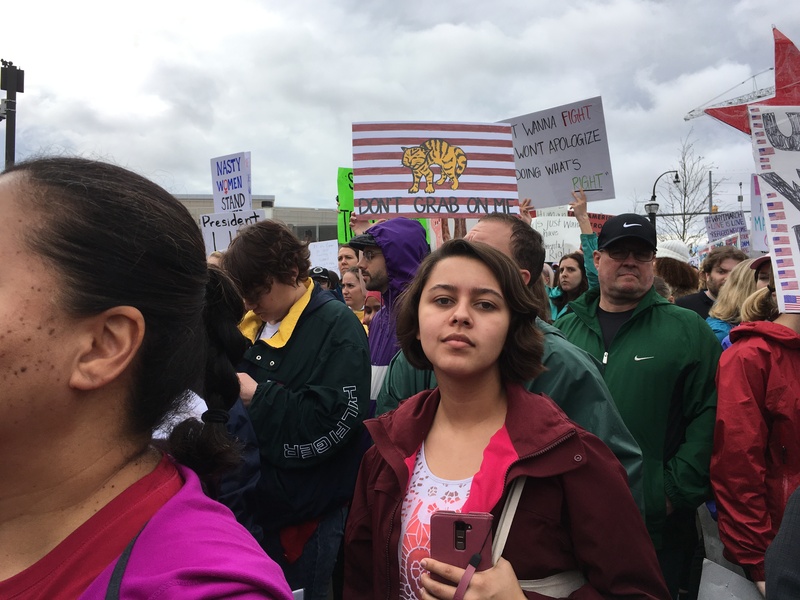 Besides Native Americans, an array other groups were represented in countless signs, many of which had been sheathed in plastic against the morning downpour. Especially prominent were felines and feline references, and more pink than you’d find in a Pepto-Bismol factory. 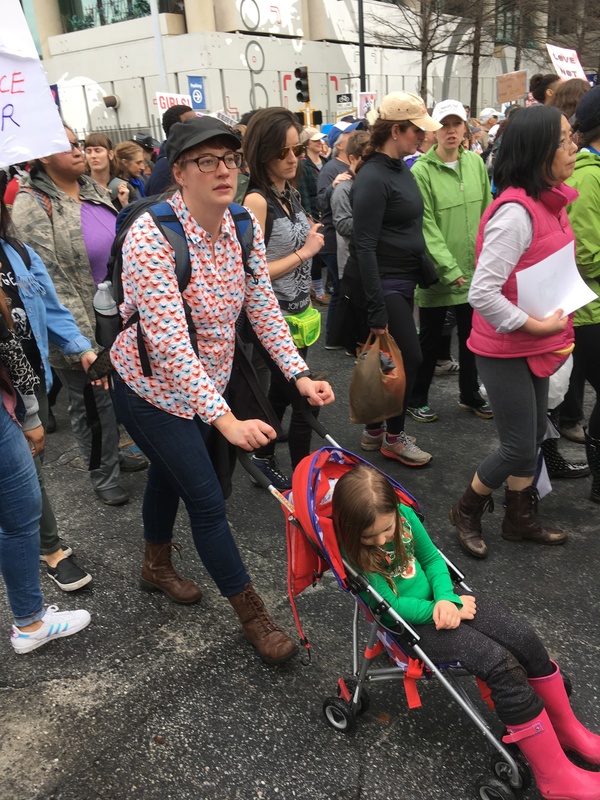 Families and friends (old and new) marched, all together. 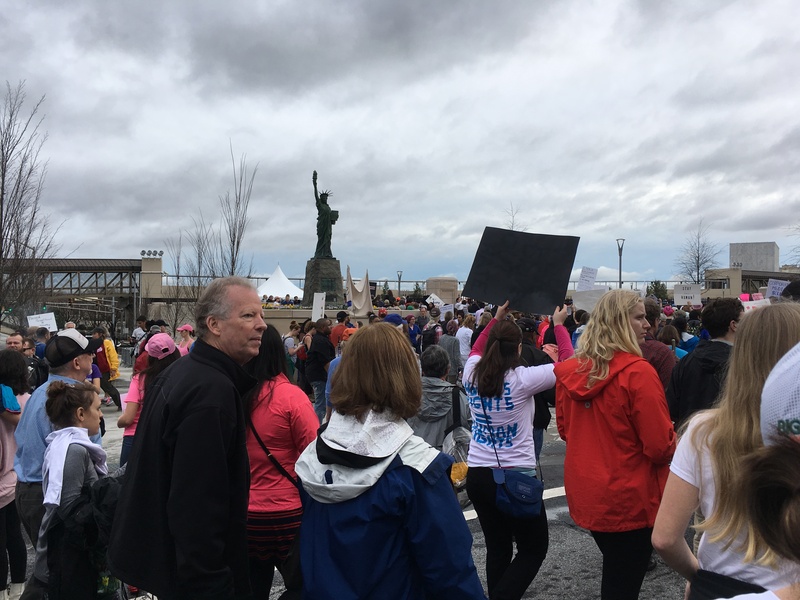 Then, with a replica of the Statue of Liberty standing by, they listened to speeches by an array of community leaders – not least, U.S. Rep. John Lewis, the civil rights icon in whose 5th District the march occurred. 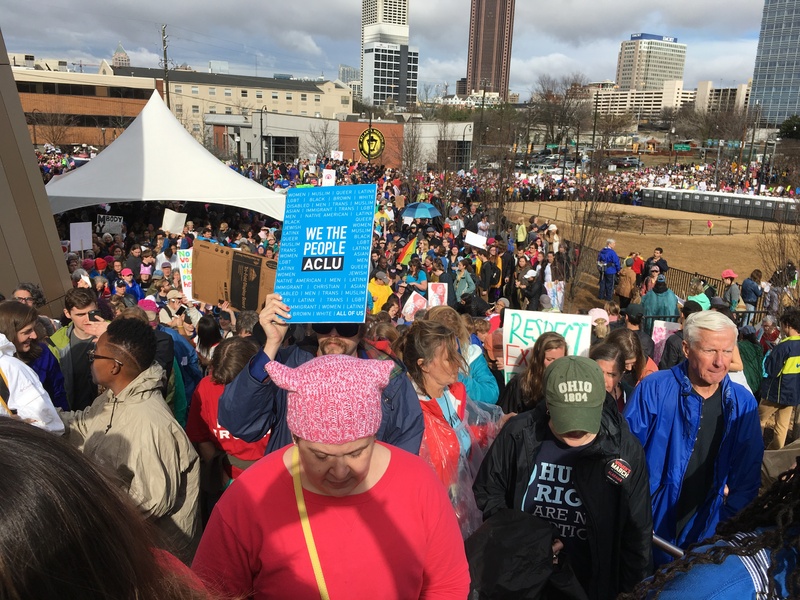 Organizers said 63,000 came to Atlanta, making it the city’s largest-ever march. 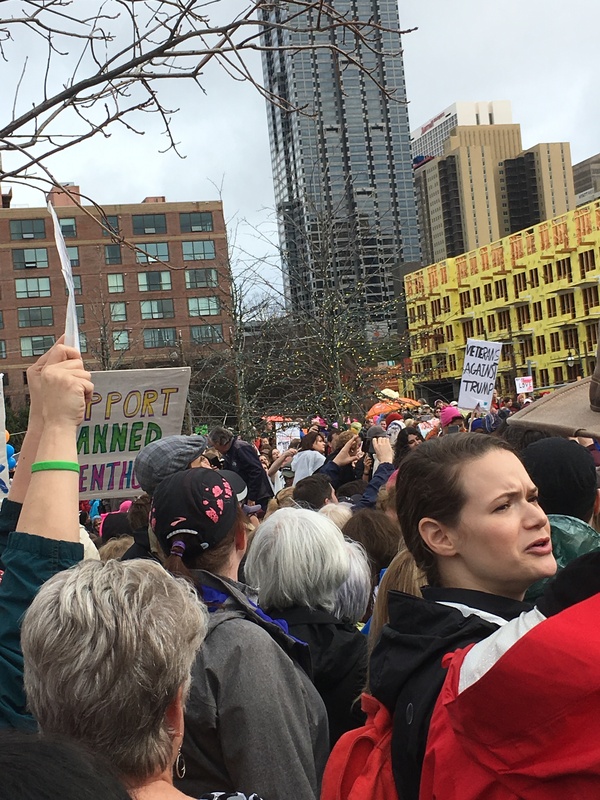 They joined literally millions, including ‘Grrls (even non-marchers) in D.C., Sydney, and Philadelphia. 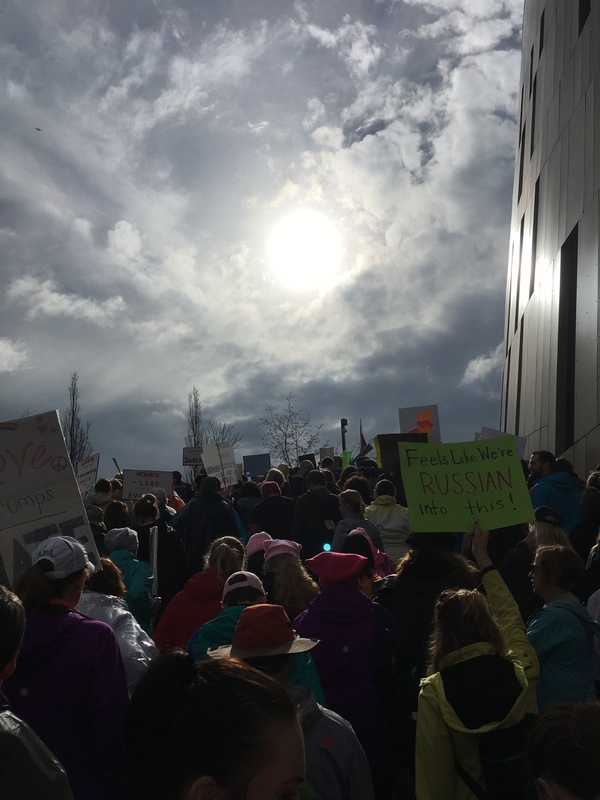 Cymie’s crowd count has been eclipsed by the news that 2.5 million are said to have marched around the world. Time now to convert good feelings and firm resolve to concrete action.